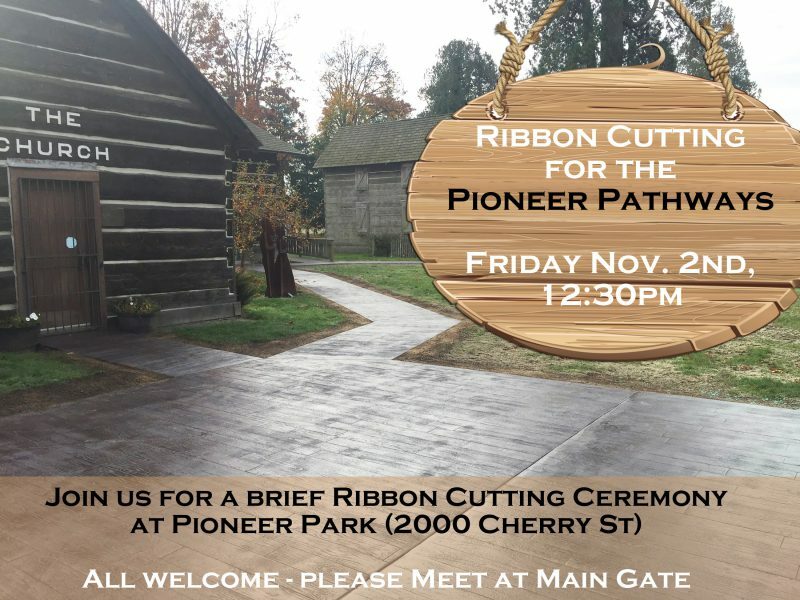 You are invited to join us next Friday, Nov. 2nd at 12:30pm for a ribbon cutting ceremony to celebrate our new ADA accessible Pioneer Pathways. See the latest addition to our historic Pioneer Village up close after some brief remarks. Attendees will meet at the main gate to the park. If you have any questions, please contact Communications Officer Riley Sweeney 360-685-2353.